Barely a week goes by without someone asking us about grocery discounters Aldi and Lidl, and what their impact will be on their newer markets, such as the US. We have a whole report coming out on these retailers very shortly, but we thought it would be a good idea to summarize what these discounters’ effect has been on other markets. Our principal message is that in markets where shoppers have switched en masse to discounters, major nondiscount grocers have been hit with smaller basket sizes and lower margins. 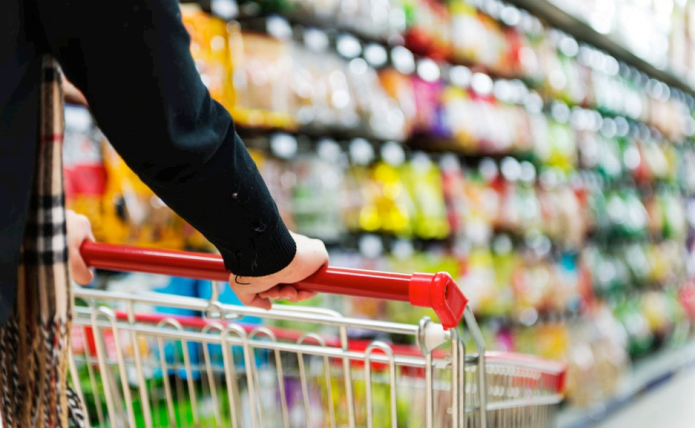 As consumers in the UK and France prioritized low prices, the countries’ respective market leaders, Tesco and Carrefour, sought to revive the performance of their flailing superstore formats with fancy renovations. At Tesco, this involved wooden-themed store refits and the addition of aspirational cafés and restaurants. Carrefour launched a flashy, zoned “Planet” store format that incorporated services such as hairdressers. Both conversion programs were abandoned after the CEOs who devised them were ousted—and both retailers have slowed or reversed loss of market share by focusing instead on lower prices. So, lesson one is: Do not be distracted from the main reason shoppers are switching—which is price. Lesson two is: Do not wait too long to make this price investment. Serious price investment will drive down operating margins. And, if this comes on top of falling volumes, retailers will experience a double hit to profits. But that is the price some retailers will have to pay in order to regain topline momentum. In the UK, operating margins for the three big public grocers have slumped. For instance, second-place Sainsbury’s saw its margins fall steadily from 4.0% in fiscal year 2012 to 2.9% in fiscal year 2015, while margins at rival Morrisons plunged from 5.6% to 1.7% over the same period. As a result, many analysts and commentators in the UK no longer know what a “normal” margin is for grocery retailing. Until the threats have been fought off, uncertainty will remain the new normal. Where discounters gain ground, we expect to see a fragmentation of grocery spend as consumers split their shopping among channels. The limited choice at discount stores means that they steal share of basket more than they steal shopper numbers. For example, customers who shop at Aldi and Lidl typically need to make another trip to a regular store to buy the products and brands they cannot get at the discounters. The result in markets such as the UK is that consumers appear to be increasingly mixing channels—discount, convenience and superstore as well as online—and we are likely to see this in other countries where discounters gain ground. This fragmentation is a threat to those nondiscount retailers that have built businesses on serving large-basket customers, and could dent the profitability of big-box retailers. Online grocery shopping is one element in the switch away from traditional big-box stores in countries such as the UK. But the no-frills model of Aldi and Lidl fits poorly with Internet grocery retailing due to the high costs involved in this added-value service. So, sustained growth in demand for online grocery is a threat to discount stores and an opportunity for nondiscounters to gain a competitive advantage. Not all attempts at differentiation work. As we have already discussed, differentiation through more premium stores looks unlikely to succeed. But differentiation through e-grocery is more promising, due to the convenience provided by this service—a convenience that discounters are very unlikely to provide. In short, convenience is the discounters’ biggest weakness, given the compromises people have to make when they are shopping the discount stores. So, there is no certainty that discounters will make headway with shoppers who prioritize convenience. For more on this subject, look for our forthcoming report, European Grocery Discounters.